Xiaomi kicked off its launch event in Beijing today rather predictably with the handsome but mostly iterative Mi Note 2 – but it followed up with a cracker of a device that could possibly steal the limelight from the iPhone 7 and Google Pixel. The Mi Mix is perhaps the most beautiful smartphone ever to make it to the assembly line. Developed in partnership with Philippe Starck, a titan in the world of product design, it features a sleek 6.4-inch body made entirely of ceramic and free of bezels on three sides. That makes for a screen-to-body ratio of 91.3 percent, which is insane when you consider that of other handsets available today: The iPhone 7 Plus comes in at 67.7 percent, while the Google Pixel XL manages 71.2 percent. To achieve that, the company says it ditched the physical earpiece speaker and sensors that usually occupy the top bezel. Instead, it went with a piezoelectric ceramic driver for the earpiece and an ultrasonic proximity sensor, both of which are hidden behind the display. The front camera sits at the bottom of the device; Xiaomi says the module takes up only half the space that regular front cameras require. Other notable features include the 17:9 aspect ratio of the massive display, which is 23 percent larger than that of the similarly-sized iPhone 7 Plus, and 18K gold rims around the rear camera and fingerprint sensor in a special edition of the Mix. 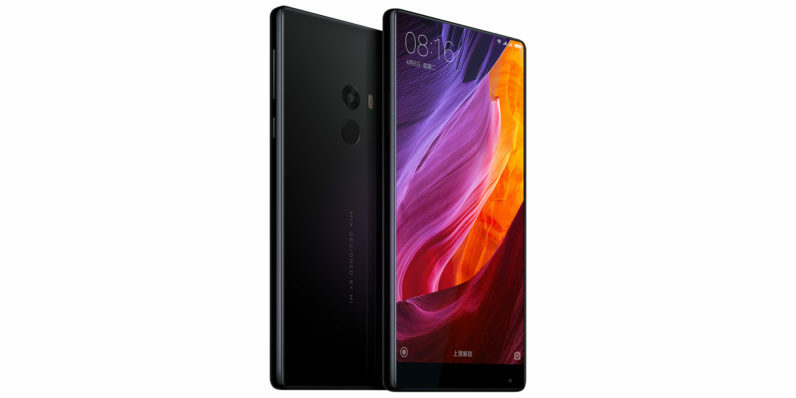 The Mi Mix will be available from November 4 in China at RMB 3499 ($516) for the 4GB/128GB version and RMB 3999 ($590) for the 18K edition with 6GB/256GB. While I’m yet to try the device, it’s safe to say already that the Mi Mix’s design is memorable – unlike most other phones released this year. It’ll be interesting to see if this helps Xiaomi win over gadget aficionados who’ve traditionally favored more mainstream brands like Apple, Samsung and Motorola. I, for one, can’t wait to get my hands on the Mix and put it through its paces.